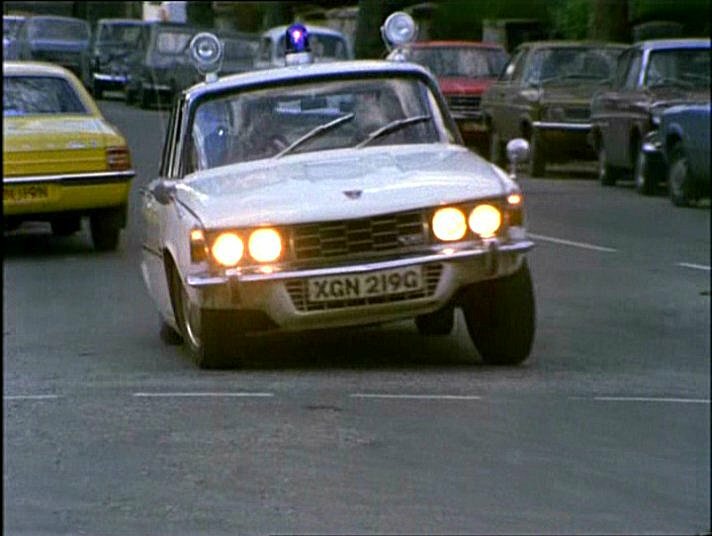 IMCDb.org: 1968 Rover 3500 with Mk2 grill MkI [P6B] in "The Sweeney, 1975-1978"
This P6 has been modified with a Series 2 grille (black instead of aluminium like the first P6s built up to 1970). 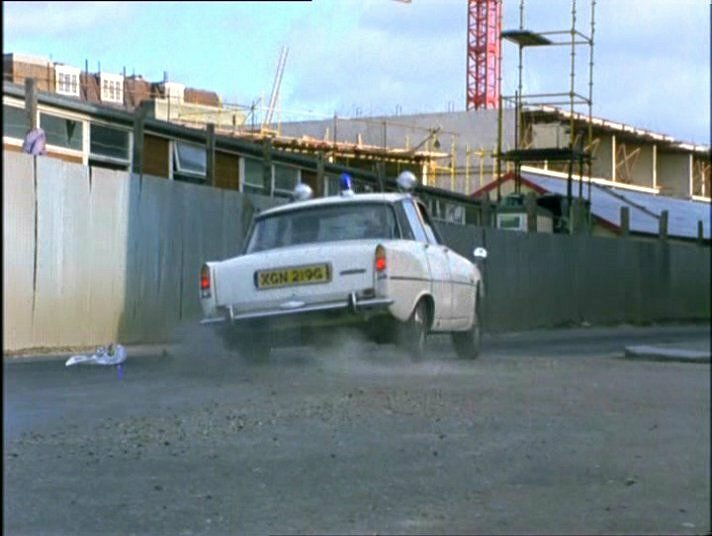 Everything looks Oct 70 onwards Mk2 including rear trim, but DVLA date and plate match also look solid. Not a Rover fleet car from the XGN identifier. Puzzling. I think the 1971+ model years had black sils. Maybe a car that's got a frontal accident and has been repaired with newer parts? Probably something along those lines, and/or a film studio makeover for a pool car. Another in the list of intriguing car quirks which imcdb is dedicated to uncovering....... Not as good as the faked Lada a few months ago, but still one to be proud of. 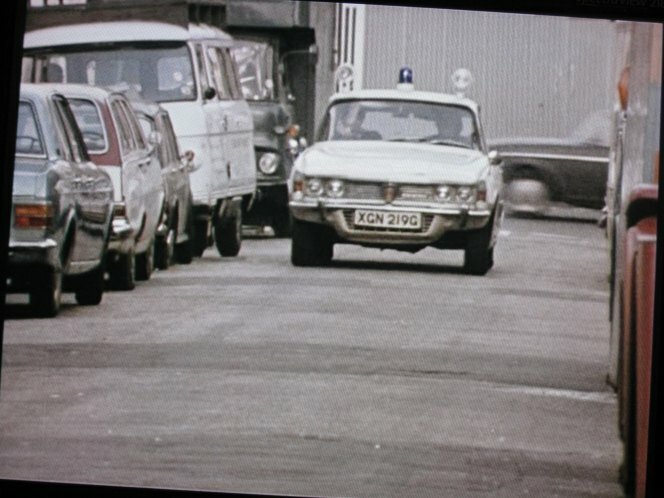 I spotted XGN 219G with original grill and bonnet in Euston Films earlier series, Special Branch. 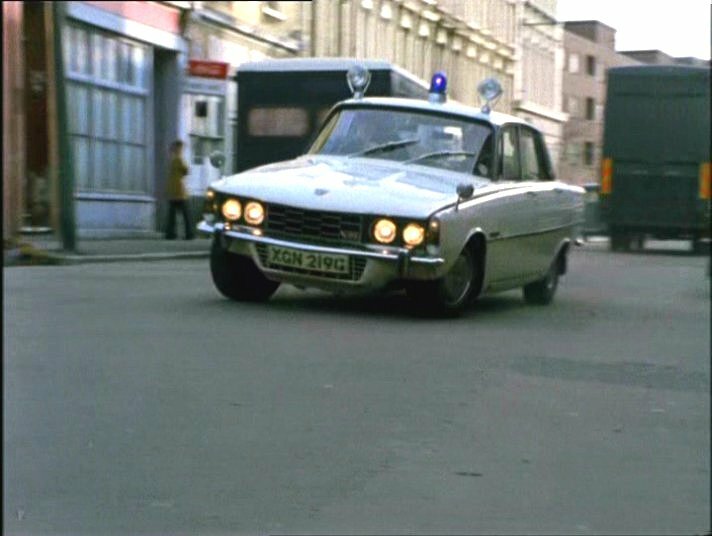 This episode 'Red Herring' is from the 1973 series.